TV Star,Ebuka Obi-Uchendu and wife Cynthia expecting baby number 2! 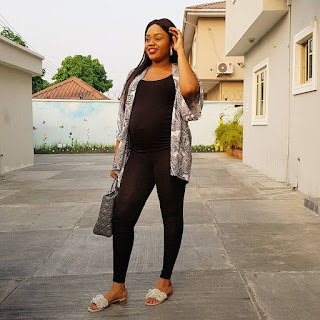 Fashion entrepreneur Cynthia Obi-Uchendu debuted her baby bump on social networking site Instagram. Sharing that she was heading to their daughter Jewel's school for some some school activities with the toddler who is now set to become a big sister.